You might soon be able to make video calls to friends via Instagram, putting the photo-sharing network in competition with Facebook Messenger and WhatsApp. According to information leaked by WABetaInfo, the new feature is currently in development and won't be released for a few months. Once it's rolled out, you'll be able to start a video call with any Instagram user who's accepted an active chat invitation. 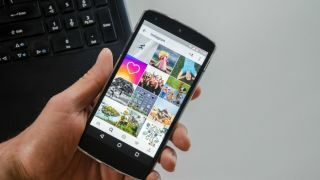 The feature is expected to be released for both iOS and Android, though Instagram itself has declined to comment on the rumor. You can already send short video clips via Instagram direct messaging, and communicate via video in Live Stories. Actual video calls will be a completely new addition, but a logical one. The addition of video chat also ties in with the newly launched feature that lets followers see when you're online (though only ones you've recently messaged or tagged in a story), enabling you to see who might be ready for a call. If you'd rather keep your status a secret, there's a simple slider in the app's settings that lets you deactivate your activity status.